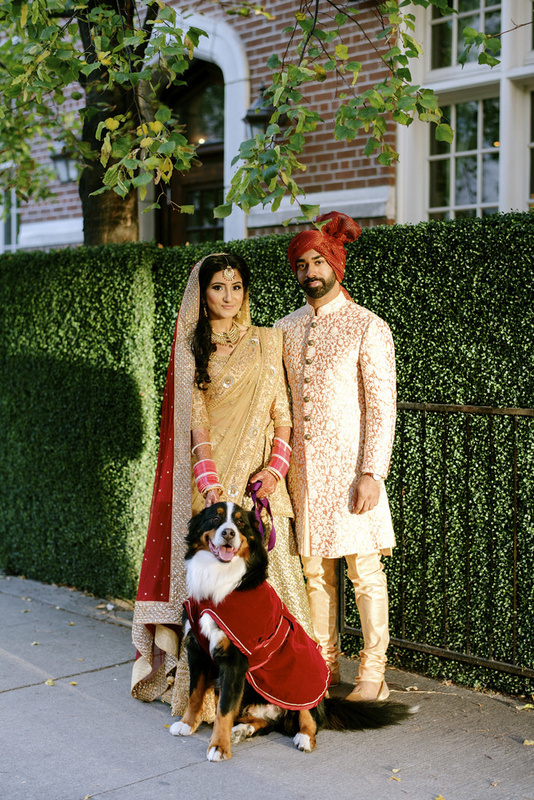 #Trending: Dressing up Your Pooch on Your Wedding! 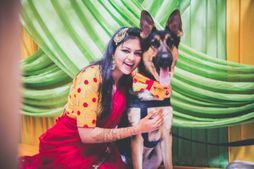 So off late we have seen some adorable photos of the couple with their dog- be it in the pre wedding shoot, mehendi or even the wedding! 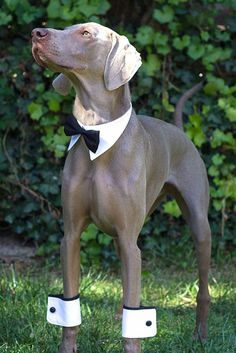 But here's something which takes a notch further- dressing up your pooch for the wedding! 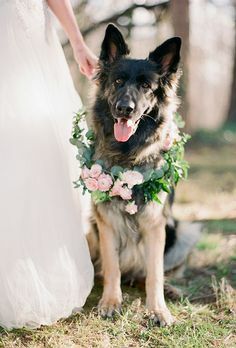 What can the dogs wear? 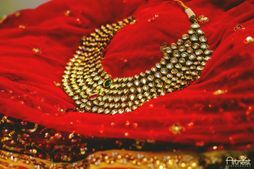 Well, from a brocade jacket on the mehendi to a cape or tux on the wedding, apparently, anything that can be made! 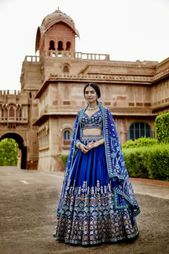 Where can the clothes be sourced/stitched? There are a lot of websites online (even in India) which provide clothes for dogs- but you can contact them and check if you want something specially customised! 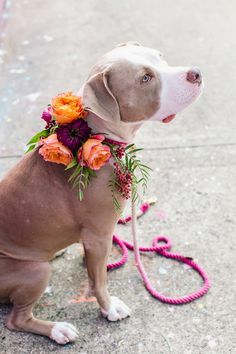 Just make sure it's something that matches your outfit or the groom's! You can even stick to the same colour scheme! What's the new trend in dressing up? 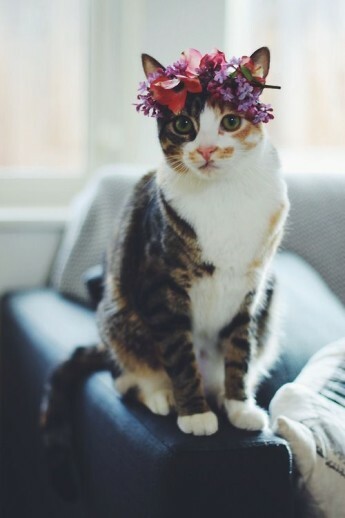 Floral wreaths of animals are a big big deal these days. Try one! So, is this an idea you like? 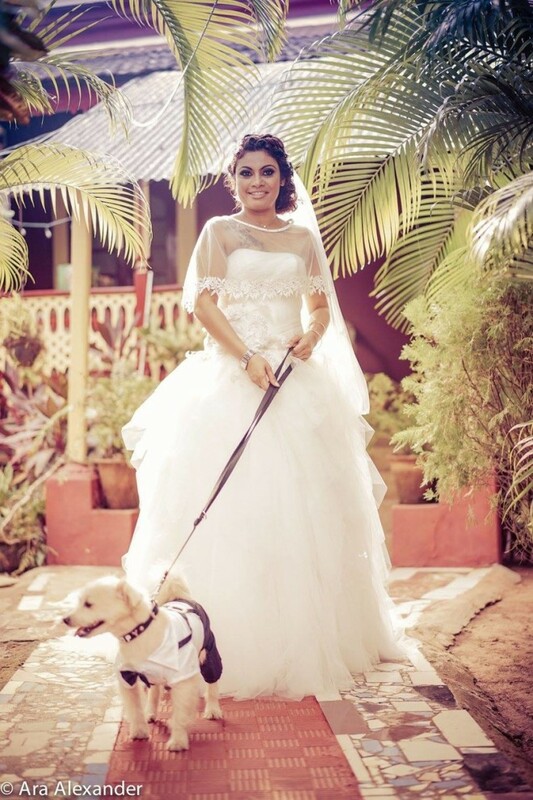 Cutest Way Brides Dressed Their Doggies For The Wedding! #Trending: Giant Wreath Seats Are The Hottest in Wedding Decor! 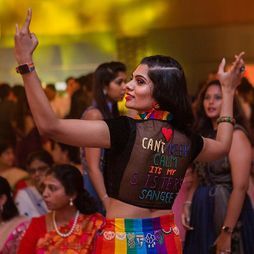 #Trending: Fun Quotes On Wedding Outfits!!! 11 Clichéd Wedding Trends We DON'T Want to See in 2017! 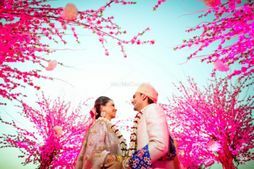 9 Major Wedding Trends for 2018 To Watch Out For! The Top Wedding Pinterest Trends for 2018! OMG! 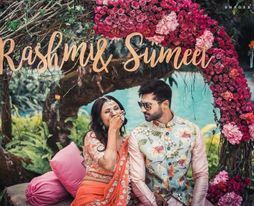 Bouncy Castles At Weddings Are Trending Abroad, & We Think It's Cute For The Mehendi!